The National Oceanic and Atmospheric Administration released a draft plan Monday for recovering threatened Snake River fall chinook salmon -- fish that have to pass eight Columbia and Snake River dams to reach their spawning grounds. In the past, nearly a half million of these fish returned to the Snake River each year. But with overfishing, dam construction and habitat loss, those numbers dropped to just a few hundred by 1992, when the fish were listed as threatened under the Endangered Species Act. The construction of the three Hells Canyon Complex dams wiped out one of only two populations of the species and blocked the fish from reaching about 80 percent of their historic spawning grounds in Idaho and Eastern Oregon. Their numbers have rebounded in large part because of hatchery programs and at least 50,000 hatchery and wild fish have returned in recent years. According to Patty Dornbusch, the recovery plan coordinator for NOAA, the fish have actually reached their recovery population numbers, but that's not the only factor in determining whether the species has recovered. "This is a success story because we've achieved so much improvement in abundance, but there are other considerations we look at," she said. "We still need to achieve those." Dornbusch said her agency wants to make sure the species can sustain itself and isn't dependent on hatchery production to survive. 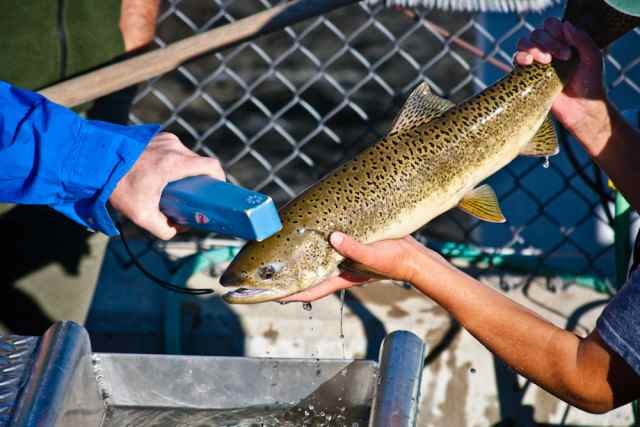 "At this point it's a matter of figuring out a strategy for hatcheries and whether we can work with co-managers to make some hatchery adjustments that will allow us to maintain the current level of hatchery production and still maintain productivity and diversity goals for the population," she said. The recovery plan includes reintroducing the second population of fish in the middle Snake River above the Hells Canyon dams -- a strategy that would involve adding fish passage at the dams and could take 25 years to complete. However, Dornbusch said, successfully reintroducing the second population isn't required to recover the species. Other options for recovery include improving conditions for the existing population and protecting wild-spawning fish from negative impacts from hatcheries. The recovery plan also proposes actions to address toxins, predation by birds and sea lions, dam operations and habitat improvements. 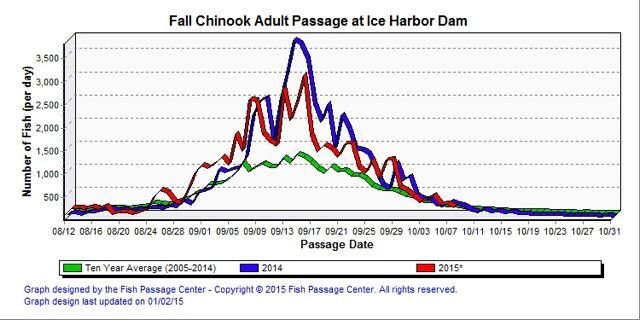 It notes that actions already in progress under the Biological Opinion for the Columbia River hydropower system will continue to improve conditions for Snake River fall chinook as well as other species. The plan is open for public comment until Jan. 4, 2016. NOAA will consider comments and release a final recovery plan sometime next year. Feds Release Plan for Recovering Snake River Salmon <-- Listen at original site.